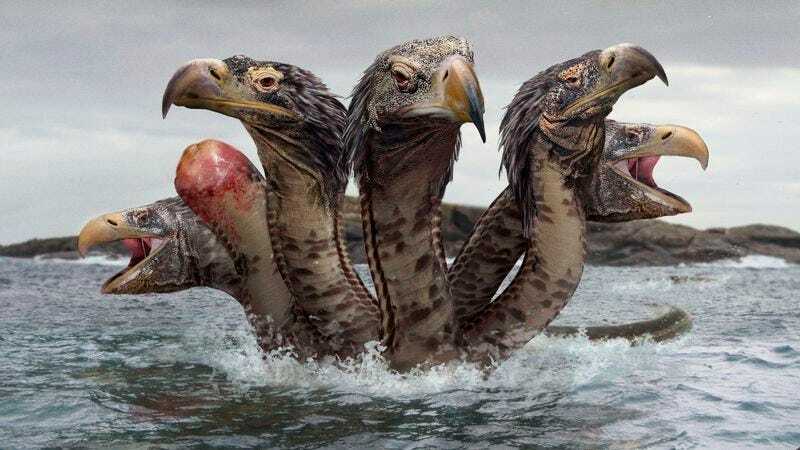 ARGOLIS, GREECE—Worrying that it would become infected if left unattended, the water monster Hydra confirmed Friday that it was finally going to see a doctor about a painful ingrown head. “I noticed it a few centuries ago and no matter what I try, it just keeps getting worse,” said the serpentine creature, adding that the ingrown head was most likely caused by it growing back incorrectly after being sliced off by a hero at the wrong angle. “It’s all swollen, and it’s just gross to look at. I tried treating it with antibiotic cream and a bandage, but I think it’s time to have professional examine it before it gets way worse.” At press time, a doctor had successfully removed the ingrown head, but two more ingrown heads reportedly immediately appeared in its place.